Almost all affordable rental housing developed through the Low Income Housing Tax Credit (LIHTC) program for families has been placed in highly-segregated, high poverty areas of Ohio. The LIHTC program has also cutback on development of housing that serves families with children. These are the findings of a new report prepared for Ohio legal aid and fair housing programs by Abt Associates, a national research firm with expertise in housing. People on low incomes continue to find it more difficult to find housing they can afford. The LIHTC program is designed to provide families access safe and affordable housing. It helps non-profit and for-profit developers finance affordable housing through federal tax breaks and it is administered in Ohio by the Ohio Housing Finance Agency. According to the report in Ohio, only 3.8% of LIHTC family units are in census areas with a poverty rate of less than 10%. In the Cincinnati area, there is a concentration of LIHTC units in census areas in which more than 75% of the population is African American and low-income. While such census tracts only include 5.6% of the Cincinnati area’s housing units, 34.3% of LIHTC units are placed in these extremely segregated census tracts. HOME assists its clients facing a number of housing issues. A key issue is the ability to find affordable housing in thriving communities. “I’ve had to move five times in the last six years to find housing for me and my boys. Much of the housing I’ve seen—the units are just thrown together and every time we have to move, it costs us even more money. I just want my kids in a decent place and a safe neighborhood with good schools,” according to N.D., a HOME client and a Cincinnati mom. The legal aid and fair housing programs continue to support efforts to preserve existing affordable housing and community reinvestment, which is woefully underfunded, and they support the continued creation of permanent supportive housing options for people who need it. This report should not be read to challenge continued investment in those communities. Legal aid programs and fair housing organizations in Ohio represent clients and communities that seek and support fair housing choice through the LIHTC program. They include the Advocates for Basic Legal Equality Inc., Central Ohio Fair Housing Association, Community Legal Aid Services Inc., Fair Housing Contact Service, Housing Opportunities Made Equal, The Housing Research & Advocacy Center, The Legal Aid Society of Cleveland, The Legal Aid Society of Columbus, The Legal Aid Society of Southwest Ohio LLC, Ohio Disability Rights Law and Policy Center Inc., Ohio Poverty Law Center, Southeastern Ohio Legal Services, and Toledo Fair Housing Center. HOME’s mission is to eliminate unlawful discrimination in housing in the Greater Cincinnati area. Established in 1968, HOME advocates and enforces housing regulations for all protected classes and promotes stable, integrated communities. HOME primarily serves the Greater Cincinnati metropolitan area. The Legal Aid Society of Southwest Ohio LLC is an affiliate of The Legal Aid Society of Greater Cincinnati. Both are non-profit law firms dedicated to reducing poverty and ensuring family stability through civil legal assistance. 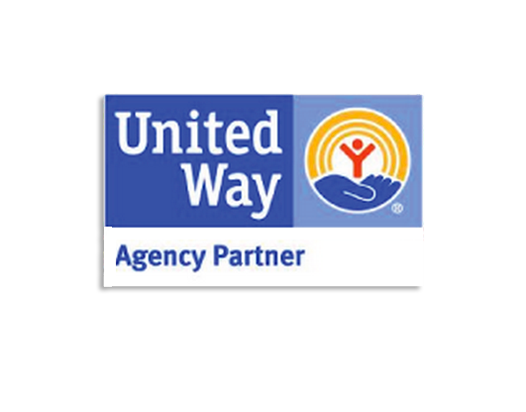 They assist low-income families and individuals in seven Southwest Ohio counties: Brown, Butler, Clermont, Clinton, Hamilton, Highland, and Warren. The Legal Aid Society is located at the Donald P. Klekamp Community Law Center Building at 215 E. Ninth Street, Suite 500, Cincinnati, Ohio, 45202. For more information, visit our website or call us at 513-241-9400. The full Abt Associates report can be read here.